The genetically-enhanced dinosaurs are front and center of the three, new “Jurassic World” one-sheets released by Universal Pictures. 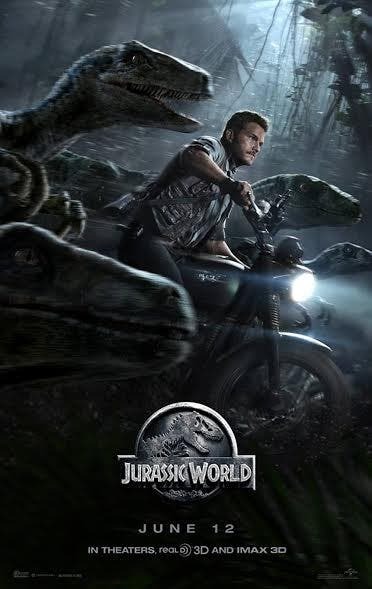 The posters separately feature Bryce Dallas Howard squaring off with a dinosaur, a gigantic aquarium where a dinosaur and a shark are chasing underwater, and lastly, Chris Pratt riding on his motorcycle amid a group of raptors. 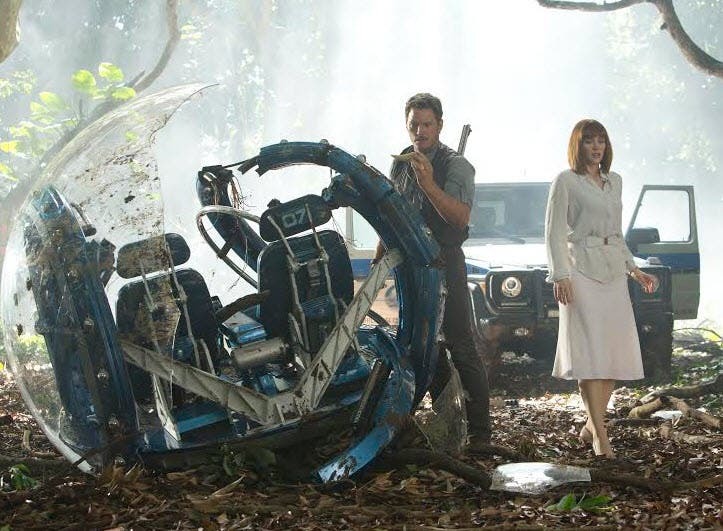 Steven Spielberg returns to executive produce the long-awaited next installment of his groundbreaking Jurassic Park series, “Jurassic World.” Colin Trevorrow directs the epic action-adventure from a screenplay he wrote with Derek Connolly. Frank Marshall and Patrick Crowley join the team as producers. The movie takes place 22 years after the horrific events of the original “Jurassic Park” and is set on a fully functional park on Isla Nublar. Chris Pratt (“Guardians of the Galaxy”) leads the cast which includes Bryce Dallas Howard (“Spider-Man 3”), Nick Robinson (HBO’s “Boardwalk Empire”) and Ty Simpkins (the kid in last year’s “Iron Man 3”). The film also stars Jake Johnson, Irrfan Khan, Vincent D’Onofrio, BD Wong, Omar Sy, Judy Greer, Katie McGrath, Lauren Lapku and Andy Buckley. 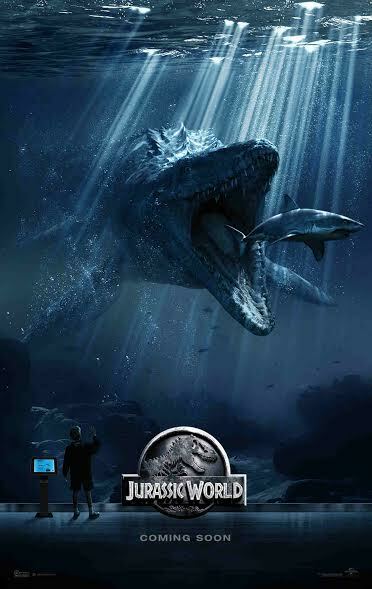 Opening across the Philippines on June 10, 2015 in 3D, “Jurassic World” will be distributed by United International Pictures through Columbia Pictures.